The Copplestone Castings collection for Bob is pretty extensive, except for the mounted commanders, which ended up in the rather comical high fiving incident between two opposing commanders at the big game. So, I let Rich loose with a suggested simple conversion. I’ve tried cajoling Mark C to no avail, to produce a separate set iof mounted commanders. 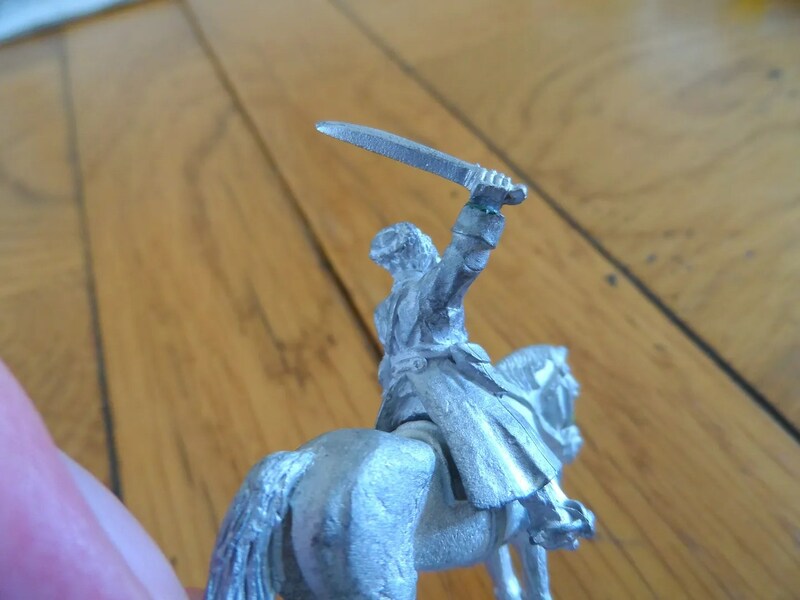 So it was a quick hand swap with a Circassian Cossack. Rich pinned and greenstuffed the hand into place (thanks). The Circassian got the hand in return (! ), so a unique command figure as well. Yes, Copplestone White Russians with Great War Miniatures German heads. This will be a unit from the Baltic/NW Russian RCW theatre, or indeed could be used for Bolshevik International brigades in Central Asia. Simple head swaps using the German stahlheim heads from the mortar crews I’m also working on. 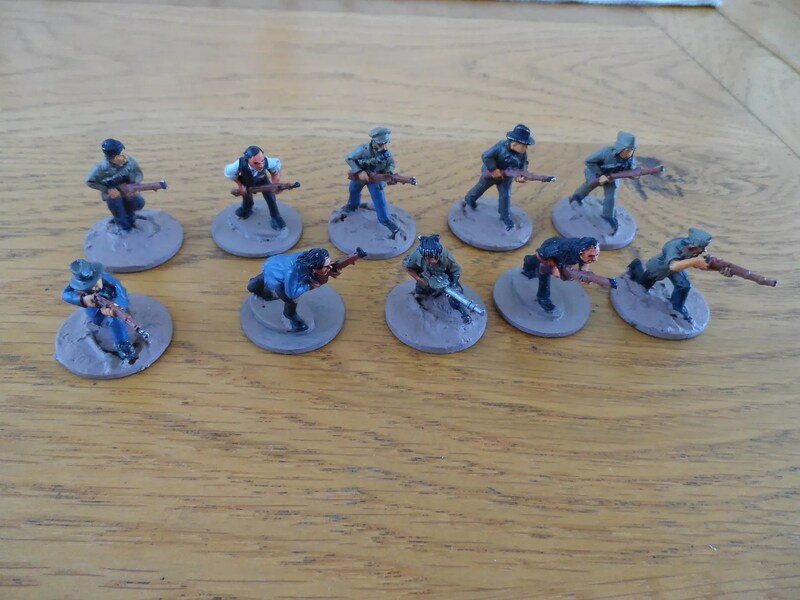 Having done the shotgunners for the MHC, I also found the bandits – a unit of 10 with rifles, some assortted assault types and their leaders. 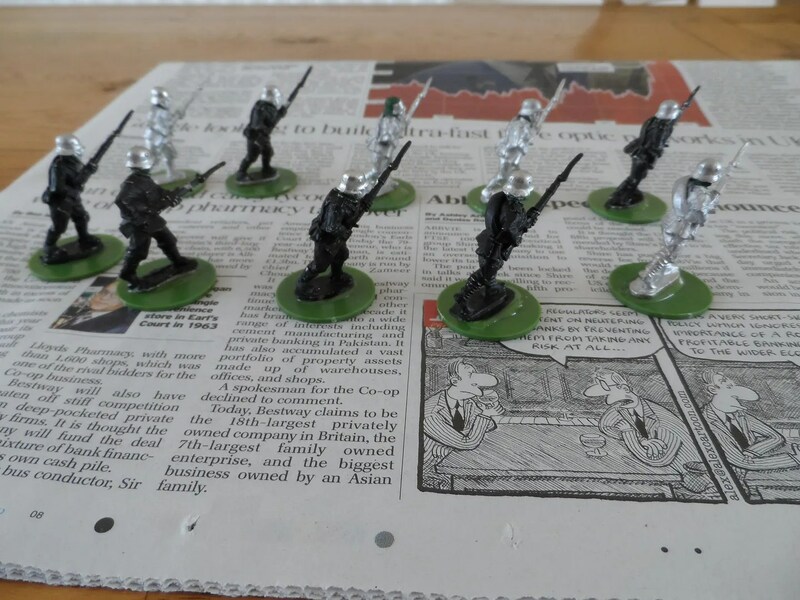 So having actually enjoyed painting the individualistic shotgunners decided it was high time to do the same with the similarly disparate bandits. 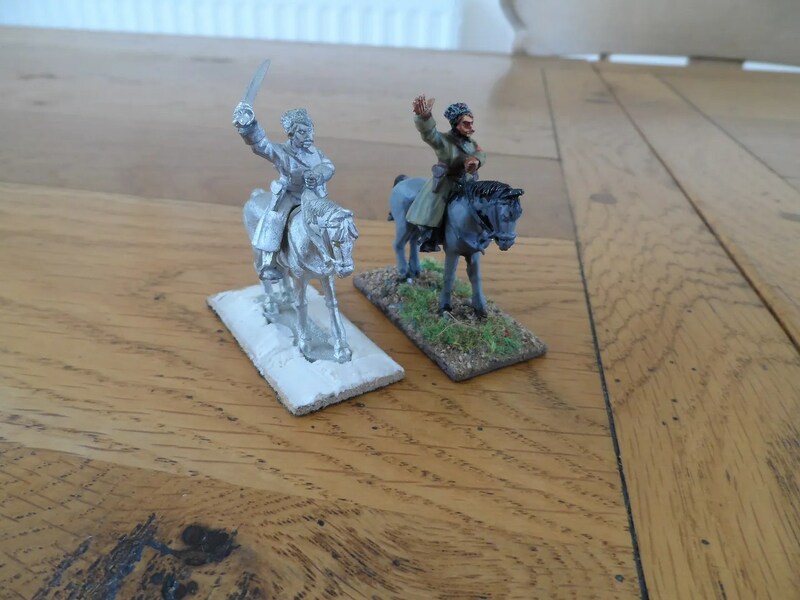 Again by coincidence JP sent out a calling note for our planned AVBCW Big Game on 27th September, so I thought it timely to get another unit sorted for that game as I know several players will be coming cap in hand to borrow figures. 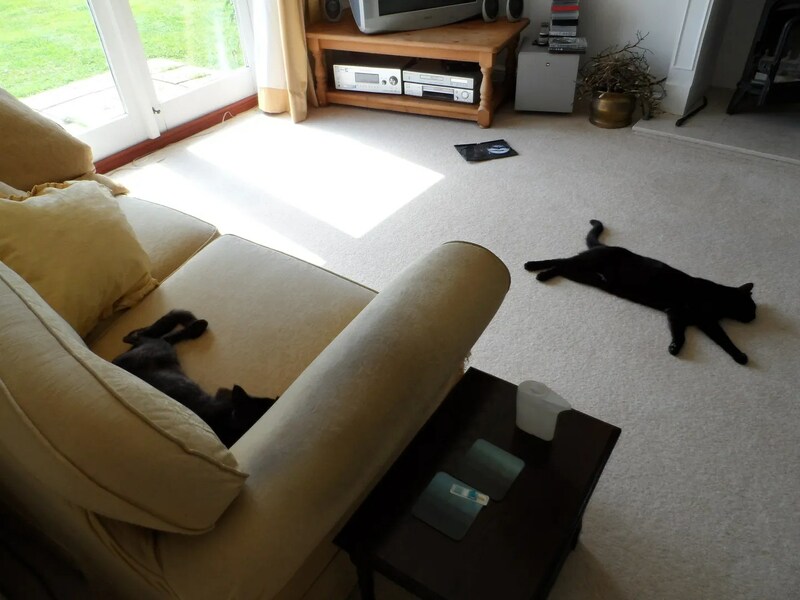 The cats weren’t impressed with any of this, and played dead because its really hot, and I don’t blame them…. More to come on the WHFB game, and the AVBCW Big Game tomorrow. Bravo, all great stuff especially like those white ruskies in Stalhelms!